All-New Performance From The Ground Up. 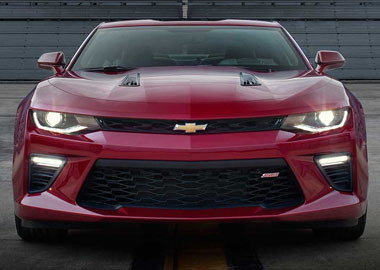 Camaro SS sports larger grille openings to help cool the engine during high-performance driving. A body-color hard tonneau cover automatically and completely conceals the lowered convertible top. 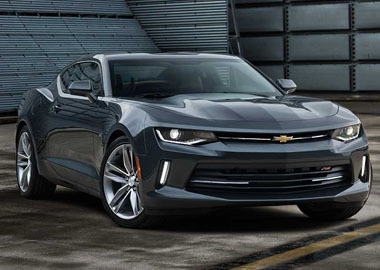 Camaro LT shows off the available RS Appearance Package’s 20-inch wheels, HID headlamps with chrome accented grille. Premium materials. Rich textures. Tailored stitching. 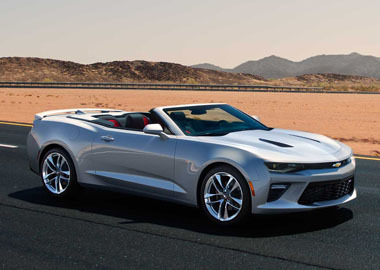 This degree of refinement comes standard inside all Camaro models. But take the driver seat to discover the entire layout is optimized for performance driving. The Camaro SIX app invites you to download and experience the 2016 Camaro right on your smartphone and tablet. Explore trim levels, make it yours by mixing and matching accessories, and take a 360° spin around its interior.